The prime minister also urged developing alternative transport routes. 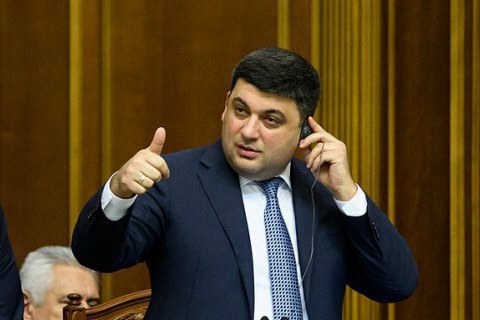 Prime Minister Volodymyr Groysman instructed the State Emergency Service to use its aircraft fleet to monitor the situation on the roads amid the stormy weather. "I ordered the emergencies to use, if the weather permits, their aircraft fleet to keep track of road congestions in the country," the prime minister told a Cabinet conference call on Tuesday, 19 December. Groysman also noted that the authorities should in advance in advance develop alternative routes not to create road congestions. On 14 December, Groysman was forced to cancel a working trip to Zaporizhzhya because of weather conditions. On Monday, December 18, Kyiv restricted the entry of trucks amid heavy snow storms.